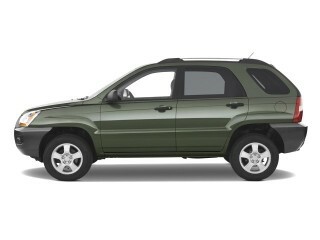 The Kia Sportage has different features and styling details, but it's closely related to the 2009 Hyundai Tucson. An all-new Tucson is expected within the next year. As time has passed, the 2009 Hyundai Tucson has been matched or bettered by other vehicles in its class in terms of performance and safety—but it remains a good value. 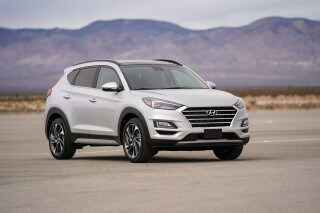 To get the most comprehensive review of the 2009 Hyundai Tucson, TheCarConnection.com looked beyond the basics, gathering firsthand observations to write a definitive Bottom Line assessment, then reading some of the most thorough reviews on the Web to include a wide range of useful shopping advice. 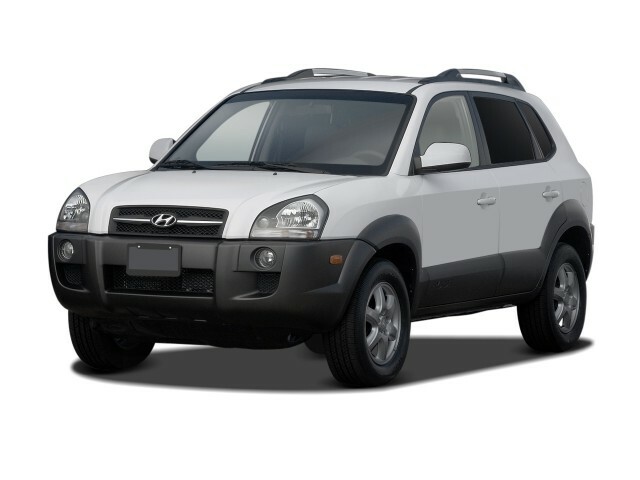 The 2009 Hyundai Tucson is the latest version of Hyundai's carlike crossover SUV, which was introduced in 2005 as a smaller-scale alternative to the Santa Fe. It hasn't changed significantly since its debut. The 2009 Hyundai Tucson starts with a 2.0-liter four-cylinder powerplant that delivers 140 horsepower. Transmission options include a five-speed manual and a four-speed automatic (which has manual capabilities), and drivers can choose between front- and all-wheel drive. The all-wheel-drive system is designed to route up to 99 percent of the power to the front wheels or up to 50 percent to the back wheels as needed. "Locking" in the center provides a 50/50 split, which is good for deep snow or mud. Higher-end SE and Limited models take things up a notch, offering a 173-hp 2.7-liter V-6 engine. It is available only with the automatic transmission. Both engine options are fairly comparable in real-world perkiness, especially when the four-cylinder is paired with the manual transmission. The four-cylinder engine can be noisier than the V-6, and shifts are a bit clunky with the automatic transmission. The V-6 model is better for anyone who plans to haul a lot of people or cargo, though it does have an overwhelmingly aggressive throttle that makes parking somewhat difficult and might trick buyers into thinking it's stronger. The Tucson has a fairly smooth ride—though the 2009 Hyundai Tucson can get pitchy or bouncy on rough surfaces. A fully loaded vehicle leads to a rougher ride overall. Nothing about the 2009 Hyundai Tucson is sporty, and you'll discover some mushiness and body lean if you push it too hard. On the interior, the 2009 Hyundai Tucson is well built, but the quality doesn't seem to match that found in other newer Hyundais like the Genesis, Veracruz, or refreshed Sonata. The driving position is comfortable, though narrow footwells can be troublesome and tall drivers might find their knees meeting the center console. The instrument panel is rounded and smooth, with audio controls mounted fairly high and a prominent center stack. In the back, two adults fit comfortably, but three across is best left to the kids. Legroom isn't the problem—it's the shoulder room. The 2009 Hyundai Tucson rates well in safety tests, though it is not at the top of the ranks. The list of features includes front-seat side airbags, side curtain airbags, anti-lock brakes, and electronic stability control. The Tucson performs well in government crash tests, earning five stars in frontal and side crashes, but it only garners a rating of "acceptable" from the IIHS. In terms of features, the Tucson does fairly well. The 2009 Hyundai Tucson comes in three trim levels: the GLS, the SE, and the Limited. 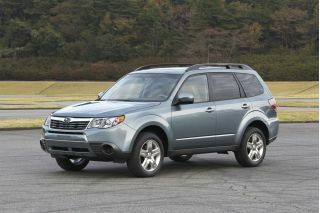 In the base GS model, drivers will find standard power accessories and an 80-watt AM/FM/CD audio system. Stepping up to the sportier SE adds some more touches, and the top-notch Limited includes leather upholstery, automatic climate control, and heated front seats. Options include a sunroof. The 2009 Hyundai Tucson has clean and reasonably sophisticated styling, though it's starting to look dated. 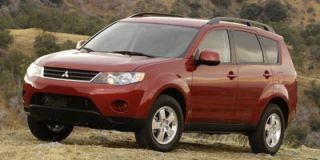 Editors at TheCarConnection.com find that the 2009 Hyundai Tucson offers solid but unremarkable styling. On the exterior, the 2009 Hyundai Tucson offers nothing to complain about—but nothing to write home about either. Cars.com explains that "the Tucson has a masculine, athletic appearance." 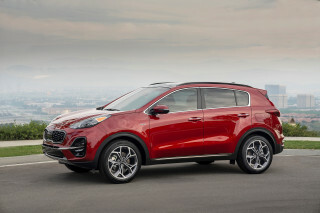 According to ConsumerGuide, the "Tucson lends its basic design to the Sportage at Hyundai's Kia division." Car and Driver describes the exterior as "tastefully styled," though it's visible that the vehicle is mainly built on a "strengthened and stretched Elantra platform." Automotive.com is pleased with the Tucson's styling, reporting, "The Tucson looks good, too. It's nicely proportioned with clean lines and short overhangs front and rear." Kelley Blue Book says that the Tucson "successfully blends edgy and fun styling" and offers a "space-efficient design wrapped in a stylish package." On higher-end SE and Limited models, the 2009 Hyundai Tucson offers "bodyside cladding ... wraparound headlights and an LED-type center brake light," reports Cars.com. The Hyundai logo is visible on the single-bar grille. ConsumerGuide points out that the "Limited and Limited V6 have specific exterior trim." Inside, Edmunds reports that the 2009 Hyundai Tucson "features a clean, modern interior." Overall, the performance of the 2009 Hyundai Tucson is adequate, but never impressive. Overall, the 2009 Hyundai Tucson offers acceptable performance. There are a few nice touches, especially in the available AWD system. The 2009 Hyundai Tucson offers two choices. Cars.com notes that "either a four-cylinder or V-6 engine can be installed." The four-cylinder option is a 2.0-liter engine that produces approximately 140 horsepower. The V-6 engine is 2.7 liters and generates 173 hp. According to ConsumerGuide, "the 4-cylinder engine is fine for commuting, but it lacks the power to give Tucson ... confident highway merging and passing ability." The V-6 is stronger, but it has "little power reserve for passing," says ConsumerGuide, and "acceleration is tepid," comments Edmunds, reporting that "power is not the Tucson's strong suit." Similarly, the 2009 Hyundai Tucson offers two choices for transmissions. Cars.com explains that "a manual transmission is available for four-cylinder models." The other option is a Shiftronic four-speed automatic transmission. The V-6 engine is "offered only with the automatic," according to Cars.com. Car and Driver reports that the heavy Tucson fights "a constant battle against an optional four-speed automatic transmission that can never decide what gear to be in." The reviewer finds that "upshifts and downshifts occur almost randomly" and "you're never in the right gear—only a less wrong one." Cars.com reports that "both versions [of the engine] can be equipped with front-wheel drive or optional four-wheel drive." A nifty BorgWarner Electronic InterActive Torque Management system in the four-wheel-drive version "can divert up to 50 percent of available power to the rear wheels in response to changing road conditions or torque demand," according to Cars.com. Consumer Guide explains, "the AWD has a dashboard switch that locks in a 50/50 front/rear power split"—good for muddy or snowy conditions. 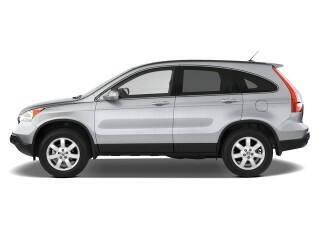 The 2009 Hyundai Tucson is "easy to drive and requires little correction on straightaways," observes Cars.com. The Tucson "leans toward the cushiony end of the ride and handling spectrum rather than the sporty side," notes Cars.com. Edmunds calls the handling of the Tucson "carlike." Car and Driver is not a fan of the Tucson's handling, remarking, "Throw the Tucson into a series of switchbacks, and its mass conspires to sap the fun from any great road." ConsumerGuide finds that "steering is a bit overassisted in the Tucson." The upshot is that "the ride is pleasantly smooth on most surfaces." Passengers will feel more bumpy surfaces, but ConsumerGuide comments that "ride quality is a Tucson ... asset." ConsumerGuide declares the ride quality "composed and comfortable around town and absorbent over all but sharp bumps at highway speeds." Car and Driver deems the ride "quiet" and "serene," with "excellent isolation from the rough stuff and a quiver-free structure. Overall, however, Kelley Blue Book reports that the Tucson is a "capable commuter in snow and rain and an off-road champ in mud or sand." Overall, comfort in the 2009 Hyundai Tucson is good, but many materials leave something to be desired. Like most Hyundai vehicles, the 2009 Hyundai Tucson is well built and provides a comfortable experience for both passengers and the driver. In the driver's seat, the 2009 Hyundai Tucson offers seating that is "quite supportive and reasonably comfortable," according to Cars.com. ConsumerGuide reports that "legroom is adequate, but headroom is generous." In the rear, the 2009 Hyundai Tucson offers decent crossover-style seating. Cars.com points out that the "five-passenger interior includes a 60/40-split, flat-folding rear seat." ConsumerGuide contends that the seat is comfortable, "but the seatback is a little too firm." Additionally, getting into and out of the rear seats can be a bit of a trick, as "slim door bottoms mildly impede entry and exit." Car and Driver calls the interior space "remarkably roomy." In terms of cargo space, the 2009 Hyundai Tucson does well overall. Cars.com likes that "the plastic cargo floor has multiple tie-down locations." With the rear seat up, cargo space is 22.7 cubic feet. With the rear seat down, space grows to 65.6 cubic feet. Cars.com reports that cargo space isn't as large as in some competitors, "but the area is easy to access." Kelley Blue Book appreciates the Tucson's "cargo-carrying convenience, including ... tie-downs, grocery hooks and under-the-floor storage." ConsumerGuide commends the "handy removable and washable mat" in the cargo area, as well as the "cleverly segmented tray" that fits in the spare tire compartment—but in-cabin storage is rated as "poor." The view of the control panel from the driver's seat is functional. ConsumerGuide notes that "gauges are unobstructed and clearly marked." The reviewer likes the way the controls are grouped, "though the low-mounted climate control panel can divert the driver's eyes from the road." Automotive.com reports that "the controls are easy to operate with big knobs." Throughout, the 2009 Hyundai Tucson offers quality construction and relatively high-grade materials. ConsumerGuide asserts that "cabin materials are attractive and well-assembled." Edmunds points out that Hyundai's 10-year/10,000-mile drivetrain warranty is "designed to placate those with vivid memories of the Hyundai of old"—which demonstrates the great jumps in quality that Hyundai has made. Overall, however, while Edmunds likes the "tight build quality" in the Tucson, "materials quality is hit or miss, with a few more hard plastics than we'd like." Car and Driver agrees, noting that "interior plastics are of the hard and shiny variety that most manufacturers gave up on during the Reagan administration." Noise is somewhat problematic in the 2009 Hyundai Tucson, but it's not overwhelming. Cars.com reports that "tire noise is noticeable on some surfaces, and some engine buzz is apparent in lower gears in models with the manual transmission." ConsumerGuide observes a "moderate tire roar on all but ultrasmooth surfaces," and echoes Cars.com in pointing out that "the 4-cylinder engine is coarse and buzzy." 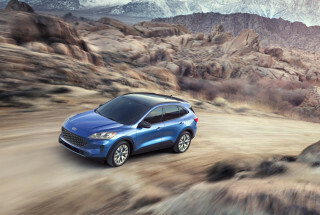 Otherwise, however, the reviewer at Cars.com finds the Tucson to be "impressively quiet," and ConsumerGuide notes that "wind rush is well-checked." The 2009 Hyundai Tucson is not a top pick for those who value safety above all else; the Poor roof-strength result is concerning, even if other scores are positive. The 2009 Hyundai Tucson has a good assemblage of safety features, but its crash-test scores send out a decidedly mixed message. In NHTSA crash tests, the 2009 Hyundai Tucson earned five stars for all crash zones (from both the front and side in the front and rear seats), as well as four stars for rollover resistance. In IIHS testing, the Tucson earned Acceptable ratings for front and side collisions, but a Poor in the organization's new roof crush test—an important test for taller vehicles like the Tucson. Car and Driver notes that "Hyundai claims to have worked hard on protecting occupants in a collision." Car and Driver is similarly enthusiastic about safety in the 2009 Hyundai Tucson, predicting that the optional BorgWarner Electronic Interactive Torque Management all-wheel-drive-system "will make safety-conscious buyers smile." The system, the reviewer contends, is "seamless in operation and faster-acting" than systems found in many competitors. Cars.com points out that "side-impact and side curtain airbags are standard, giving the Tucson a total of six airbags." 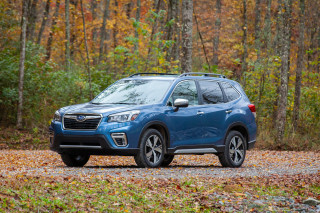 ConsumerGuide Auto points out that available safety features include "ABS, traction control, an antiskid system, front side airbags, and curtain side airbags." Edmunds calls the Tucson's list of safety features "impressive," and Automotive.com cites the Tucson's "comprehensive list of active and passive safety features." Kelley Blue Book looks specifically at visibility in the 2009 Hyundai Tucson. "Visibility is good," the reviewer notes, and is "helped by lengthy rear-door glass, though wide rear pillars impair the view slightly." Options are few in the 2009 Hyundai Tucson, but that's because there are so many included features. Editors at TheCarConnection.com note that the 2009 Hyundai Tucson offers a large number of useful features, as has become customary for Hyundai vehicles. Options are few because so many features are standard. Standard equipment in the 2009 Hyundai Tucson covers a lot of bases. Cars.com notes the list includes "air conditioning, power windows and locks, heated mirrors, [and] cruise control." Other standards include an intermittent rear wiper, keyless entry, and a six-speaker CD stereo. Edmunds points out that "another cornerstone of this hauler's appeal is its generous standard features list"—even on base models. At the SE level of the 2009 Hyundai Tucson, features are amped up a bit. Cars.com remarks that the SE "adds a leather-wrapped steering wheel a stereo with CD and MP3 capabilities." 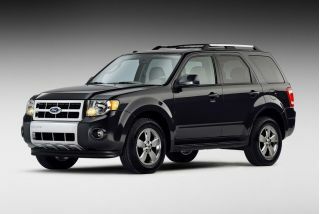 In the Limited, Cars.com highlights "leather seating surfaces and a six-CD/MP3 stereo." Car and Driver particularly likes the "leather and ... six-CD in-dash changer" in the upper-end vehicles. As far as optional equipment goes, there is little to choose in the 2009 Hyundai Tucson. As Kelley Blue Book remarks, "because of its abundant standard equipment, options are few on the Tucson." Drivers generally choose the appropriate trim level and work with the features that are included. Easy access, great to drive, comfy,and performs well with plenty of room. Looking for a different year of the Hyundai Tucson?